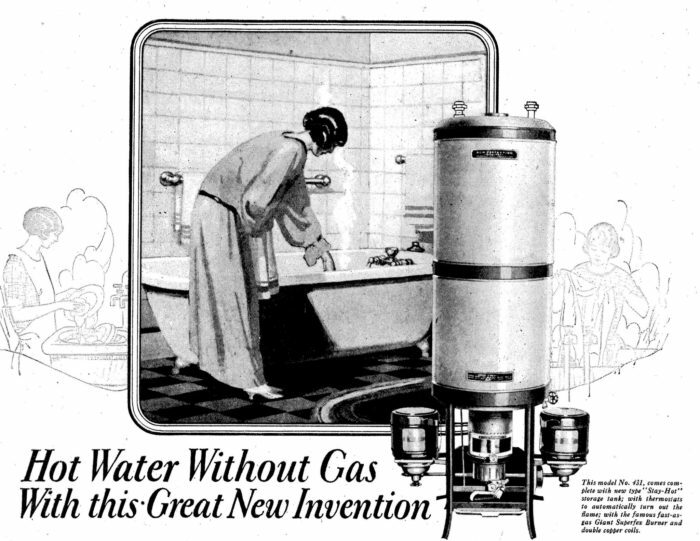 Millions of American homes still use fossil fuels for water and space heating. An increasingly low-carbon electric grid is an opportunity to reduce carbon emissions dramatically. 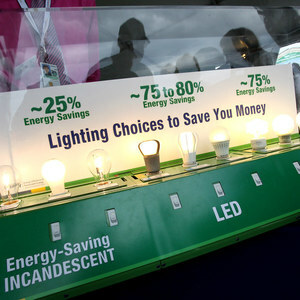 Image Credit: Don O'Brien / CC via Flickr In all, 34 scenarios were considered for one year of energy use for water heating, space heating, and air conditioning in a single-family home. 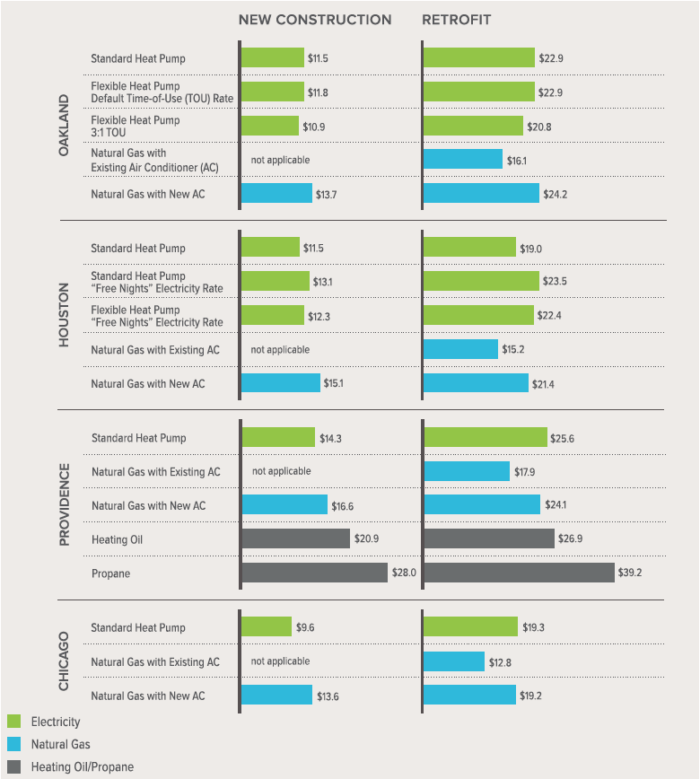 This chart compares the 15-year net-present costs of water heating and space conditioning in four different parts of the country. Seventy million American homes and businesses burn natural gas, oil, or propane on site to heat their space and water, generating 560 million tons of carbon dioxide each year — one-tenth of total U.S. emissions. 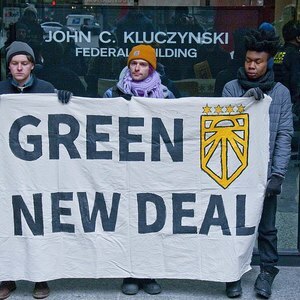 But now, we have the opportunity to meet nearly all our buildings’ energy needs with electricity from an increasingly low-carbon electric grid, eliminating direct fossil fuel use in buildings and making obsolete much of the gas distribution system — along with its costs and safety challenges. Reaching “deep decarbonization” goals of 75% or greater reduction in greenhouse gas emissions will require eliminating most of the CO2 produced by furnaces and water heaters across the country, alongside other measures across the economy. Further, electric space and water heating can be intelligently managed to shift energy consumption in time, aiding the cost-effective integration of large amounts of renewable energy onto the grid. Achieving this vision will require massive market transformation, including discontinuing the expansion of the gas distribution system, widespread adoption of new appliances in homes and businesses across the country, and new markets for intelligent devices to provide flexible demand to the grid. Eleven million households burn oil or propane for heat — the most carbon-intensive and costly fuels — and another 56 million burn natural gas. The most efficient electric devices, heat pumps for space and water heating, have a small market share today. Many homes need additional electrical work to accommodate them, and consumer awareness of this heating technology option is low. In Rocky Mountain Institute’s new report, The Economics of Electrifying Buildings, we analyze the economics and carbon impacts of electrifying residential space and water heating both with and without demand flexibility — the ability to shift energy consumption in time to support grid needs. 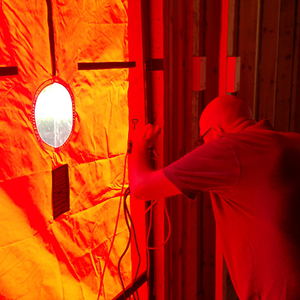 We compare electric space and water heating to fossil-fueled space and water heating for both new construction and home retrofits under various electric rate structures in four cities: Oakland, California; Houston; Providence, Rhode Island; and Chicago. We modeled one year of energy use for water heating, space heating, and air conditioning in a single-family home to determine the annual carbon impact and the 15-year net present cost of each scenario. 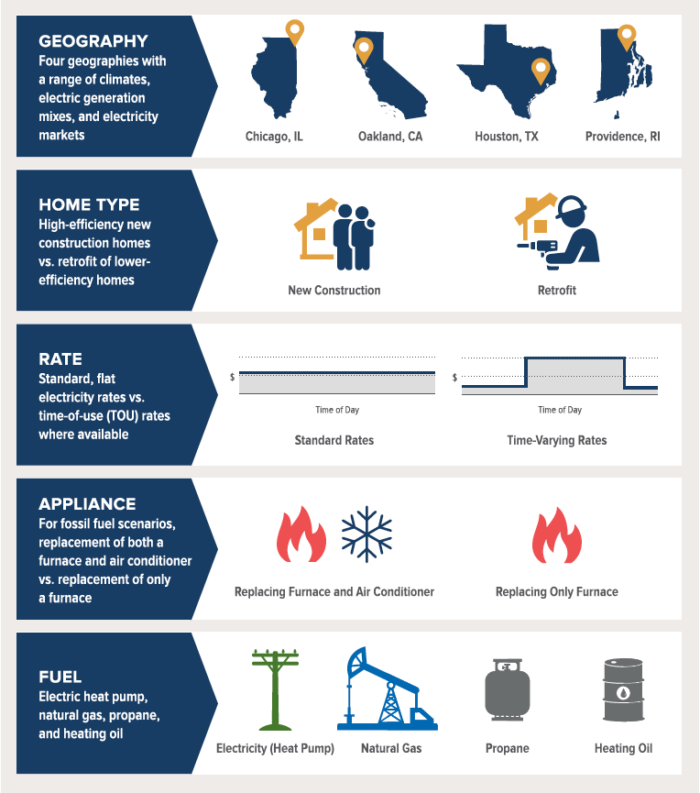 Across geographies, home types, rate structures, appliances, and fuels, we considered 34 scenarios (see Image #2 below). 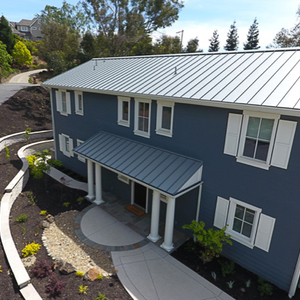 In many scenarios, notably for most new home construction, we find electrification of space and water heating and air conditioning reduces the homeowner’s costs over the lifetime of the appliances when compared with performing the same functions with fossil fuels. 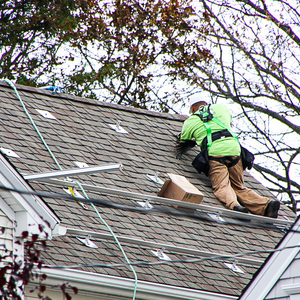 Costs are also reduced for customers in several retrofit scenarios: for customers switching away from propane or heating oil, for gas customers who would otherwise need to replace both a furnace and air conditioner simultaneously, and for customers who bundle rooftop solar with electrification. New homes and homes currently lacking natural gas service also avoid the cost of gas mains, services, and meters not needed in all-electric neighborhoods. However, for many existing homes currently heated with natural gas, converting to electric heat pumps for space and water heating will increase customer costs at today’s prices. Customers with existing gas service face higher upfront costs to retrofit to electric space and water heating than to install new gas devices, and either pay more for energy with electric devices — generally in colder climates — or save too little in energy costs to make up the additional capital cost. Image #3 below illustrates these results across several scenarios. Many factors could improve the cost-effectiveness of electrifying space and water heating compared with gas in the future. The price of heat pumps is expected to decline as the market grows and manufacturers realize economies of scale. The value of electric demand flexibility is likely to increase as the share of variable renewables grows on the electric system — customers’ ability to capture this value with intelligent devices can reduce the lifetime costs of electrification but depends on new market structures, rate designs, and utility programs. Carbon pricing or other climate policies may impose additional costs on natural gas supply. Or gas commodity prices may rise in the future. Electrifying space and water heating already reduces carbon with today’s electric grid in all but the most coal-heavy systems. Even in a grid powered exclusively by natural gas, electrification would reduce carbon emissions relative to gas appliances in the home. With a renewable electric system, carbon emissions from electric space and water heating go to zero. 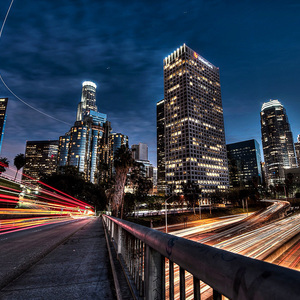 In places like Oakland, Houston, and Providence, the electric grid is already low-carbon enough to offer emissions reductions from electrification. Even in places like Chicago, where coal often remains the marginal generator today, continued retirement of coal plants is likely to make electrification the low-carbon option over the long term. Prioritize rapid electrification of buildings currently using propane and heating oil for space and water heating. Although these represent less than 10% of U.S. households, they account for more than 20% of space and water heating emissions. Electrification is very cost-effective for propane customers, and has a cost comparable to that of heating oil, depending on local pricing. Electrifying these homes in the near term can build scale and market maturity to support even more widespread electrification in the future. Stop supporting the expansion of the natural gas distribution system, including for new homes. This infrastructure will be obsolete in a highly electrified future, and gas ratepayers face significant stranded-asset risk in funding its expansion today. Furthermore, electrification is a lower-cost and lower-carbon solution than extending natural gas service, either to new or existing homes. Bundle demand flexibility programs, new rate designs, and energy efficiency with electrification initiatives to effectively manage peak load impacts of new electricity demand, especially in colder climates that will see increased peaks in winter electricity demand from electrified heating. Expand demand flexibility options for existing electric space and water heating loads. Only 1% of the 50 million existing electric water heaters in the U.S. participate in demand response. As widespread electrification adds loads, particularly in winter, effective demand management will mitigate system costs and aid renewables integration. Update energy efficiency resource standards and related goals, either on the basis of total energy reduction across both electricity (in kWh) and gas (in therms), or on the basis of emissions reductions across both electric and gas programs. Otherwise, successful electrification could penalize utilities for not reducing electricity demand, even when it provides cost and carbon benefits. ©2018 Rocky Mountain Institute. Published with permission. Originally posted on RMI Outlet. It's a rural area and I could have gone propane with an in-ground tank but the article touched on a lot of the reasons why I decided to build a home as 100% electric. Another issue is that in a rural area the propane truck has to drive all the way out there and fill the tank every few months. 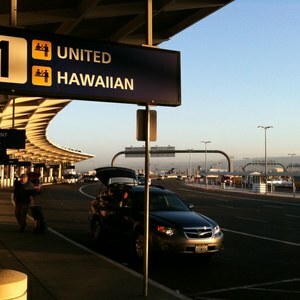 The diesel fuel and emissions related to that adds up over time. Not having carbon monoxide vents in the home and garage was another reason I didn't want natural gas appliances in the home. I went with an induction range for cooking. I am 100% LED lighting with a ductless mini split for cooling and heating. I prefer not having combustion in the living space and am weighing the costs of converting my soon-to-be-purchased townhouse to all electric. The homes HVAC systems and water heater are more than 11 years old and starting to have more reliability issues. 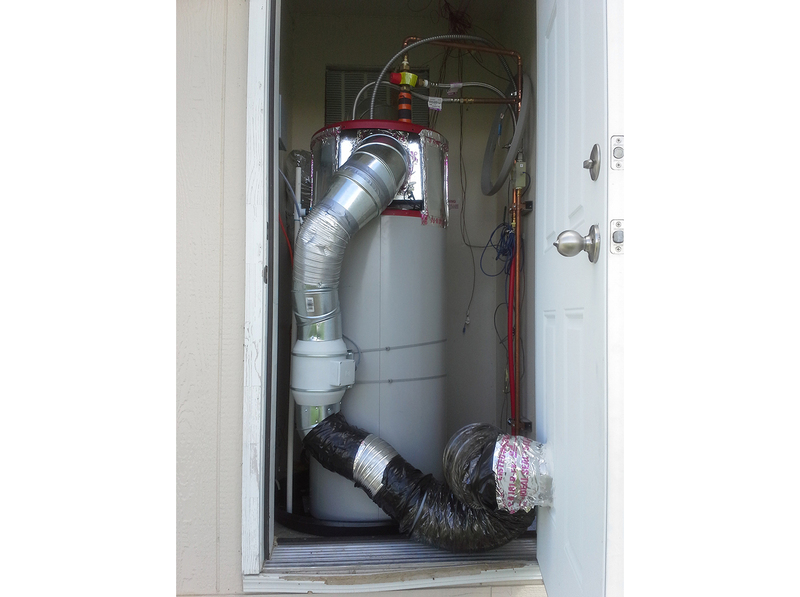 AC units are electric but the furnaces are natural gas, as is the water heater. One HVAC system serves the first and second floors, and the other unit is dedicated to the third floor. Both systems are in unconditioned space (one in the semi-vented attic and the other in the garage). 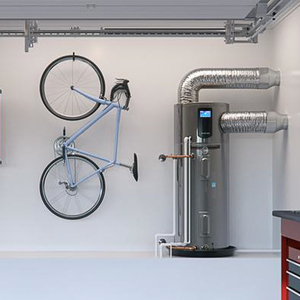 The garage system and water heater share a vent and draw combustion air locally. Not ideal. I plan to air seal the home and convert the attic to conditioned space but am conflicted on how far to go with the systems. I guess we will see what a full conversion costs and whether it makes more sense to maintain the dual-fuel setup. Same here. The article touched on a lot of the reasons I built an all electric home. By my calculation the life time costs for electric were lower, even resistive electric heat, it would shift the burden for fuel conversion to the power company, it didn't require large bulkheads across the ceiling for duct work, the mechanical room didn't need to be as big, and it required less maintenance. I've since added ductless minisplits and now my maintenance is still less, yet my energy bills are half of what my neighbours pay. Your biggest hurdle is likely going to be running the wires and space in your panel. But if you're looking to replace an old water heater and a furnace anyway I doubt the cost would be much different. Even if there are occasional repairs and more than average maintenance on the 11 year old equipment you're likely to get at least 5, maybe another 10 years out of the AC, and probably another 15 out of the gas furnace. Only when one or the other craps out in a major way is it "worth it" to do the conversion, unless you're truly dedicated to losing the fossil burners, gas-meters and all. For now it makes more financial sense to concentrate on the building upgrade efforts. You can use the existing equipment in the mean time to measure the heating and cooling loads by measuring the duty cycles at or near design condition, and when the time comes you'll be able to spec the heat pump(s) that replaces the AC + gas furnace(s) fairly tightly with a great deal of confidence on the sizing. No doubt you are right about allowing the systems to age out. The indoor coil on the upstairs unit likely has a coolant leak, but I will price out repair costs and then see what makes sense. Both units need an outdoor air supply since I am planning to tighten up the envelope and make the attic part of the conditioned space. This change should be fairly straightforward for the attic unit, but it will be more complicated in the garage. I also want to do something about the shared vent (furnace and water heater) in the garage. It would be a good location for a heat pump water heater, but I would have to move the unit out of the utility closet. Combining the ventilation function together with the heating or cooling equipment isn't always a great strategy. Ventilation needs are not proportional to heating or cooling loads, and you still need ventilation when there is NO heating or cooling load. If the ventilation is running primarily when there is a call for heat/coolth it can create comfort issues, eg: Periods when the heat loads are the highest correlate with the lowest dew point (driest) air, often resulting in over-drying during the winter. Or perhaps you were only talking about combustion air for the gas-burners? Reasonably well engineered ducted HPWH offerings have shown up since that prototype picture was taken in 2015, eg Rheem's Performance Platinum series, in the US, Ariston Nuos ( in Europe & Asia, not USA) , A.O. Smith Voltex now has a pre-engineered ducting kit available, etc. There are probably others I'm not yet aware of. When I added central air to my 110 year old victorian, I added a heat pump for an incremental increase in cost. I adds comfort (steam system temp swings in mild weather) and is cheaper ot operate than my steam system above 40F and I can zone the heating and run the heat pump with the boiler downstairs or upstairs independently. Eelectrical installation wasn’t that bad. Heat pump water heater would be easy, it’s only about 15’ from the electrical panel. I already run 2 dehumidifiers in the basement so it would make a lot of sense. "Due to the increased emissions of natural gas systems with methane leakage, heat pump systems in Chicago now have comparable emissions impacts to natural gas use in the home. Heat pumps range from 12% more carbon intensive to 11% less carbon intensive than natural gas systems, depending on the leakage rate used." Leaking natural gas is obviously a big problem and needs to be fixed, although this could be very expensive at the distribution level. Fixed natural gas monthly service fees of $25- $50 seem likely for many customers. Some ratepayers then abandon NG for all electric service and the fees go up again? Big (800 MW-1 GW) CCNG power plants are still being proposed and built. Our utility wants to get one approved by the commission. I anticipate cheap NG will price cycle up in a relatively short time and with it the sting of higher electric rates for all. Combine this with declining solar PV costs and the breaking of 'captured' utility commissions by disgruntled ratepayers= customer choice of supplier, and we have a stranded asset scenario. Big, important decisions ahead! All electric here. >"Leaking natural gas is obviously a big problem and needs to be fixed, although this could be very expensive at the distribution level. " The 64% of the escape related to production & gathering seems like the right place to be attacking it first, since it's more localized and more of the cost can be paid back in sales of that product that wasn't allowed to escape. Digging up and fixing millions of small leaks for the remaining third doesn't have the same financial advantage of fixing the mere thousands of huge leaks nearer (or at) the source. Stranded CCNG generator assets are only the tip of the iceberg in some regions. In the ISO New England grid area CCNG plants dominate the power generation capacity and annual sales by generator type, but are pipeline capacity constrained during the heating season, where a larger fraction of the pipeline is reserved for space heating. The pipeline developers want to rate-base the cost of increased capacity to the electric ratepayers, but the stranded asset risk (= likelihood, actually) has made that a non-starter, rejected outright by the Massachusetts state Attorney General's office after extensive review, on the grounds that it transfers the financial risk to the ratepayers, not the utility/investor or pipeline operator/investor, while the potential up-side goes to others. Given the already legislated carbon reduction and renewables committments made by MA and the other states in the region, the only business case for the increased pipeline capacity is potential gas export (to Canada or LNG to Europe/other), and if that business case is deemed too risky for private investors (who would reap the potential upside), it's too risky and at cross purposes to the utility ratepayers, who would see the upward price pressure from offshore gas buyers. In the near term the pipeline constraints result in somewhat higher carbon emissions during cold snaps due to the use of #2 & #6 oil peaking plants and coal burners to cover the shortfalls. But oil peakers still deliver less than 1% of the annual power generated on the ISO-NE grid, and fewer GWh/ per year than utility scale solar produces in the region, and coal is less than 2%. (see: https://www.iso-ne.com/about/key-stats/resource-mix/ ) Wind is already delivering more than 3% of the regional total, and growing. In the intermediate term PV and wind are still high-growth industries, and will more than offset the impending closure of nuclear plants in the region. The offshore wind commitments by 2030 by MA alone will more than replace the loss of low-carb output due to nuclear closures, and both CT & RI are headed down that path as well ( as is NY, on the neighboring NY-ISO grid). Better still, cold snaps in the region are highly correlated with higher offshore & near-shore wind speeds- more power will be available from the offshore wind during periods when the gas pipelines are running at full capacity, limiting the need to fire up oil peakers. The newly formed demand response market will also cut into wintertime oil peaker use, but it's still too early to tell by how much, since it only became active in June. The growth of electricity use in New England is also flat or falling year on year.